The Artists in Residence program is an annual event held at Edgewood Cottage where area artists spend a week showcasing their art and talent. Beginning this year in late May, the program not only benefits the artists, but is a destination event for Blowing Rock residents and tourists alike. Founded in 1985, the Blowing Rock Historical Society’s mission is to identify, protect and preserve the historical resources important to Blowing Rock’s heritage and to promote its history as a means of enhancing the village’s historical culture. 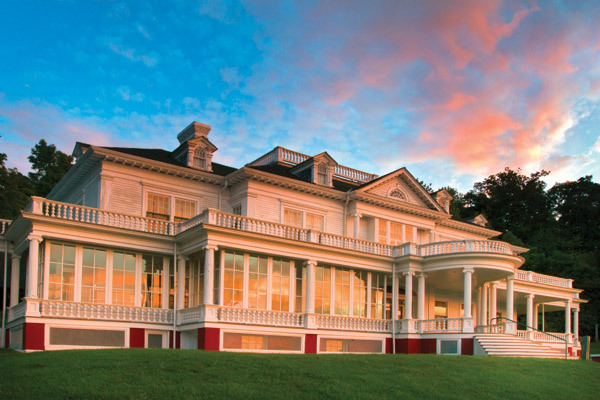 The Society, with approximately 300 volunteer members, operates both Edgewood Cottage and the 1888 Museum, and continues to celebrate and promote Blowing Rock’s heritage through its events and programs. Pictured above from left to right: Willa Coffey Mays, Chief Development Officer for the Blue Ridge Parkway Foundation; J.D. Lee, Superintendent of the Blue Ridge Parkway; Rita White, President, Blowing Rock Historical Society; Tom O’Brien, Chair, Artists in Residence at Edgewood Cottage. To learn more, please visit the Society website at www.blowingrockhistoricalsociety.com or contact Rita White at 828-414-9345.